With the coming of his newborn son, I for one suspect that Marc's Split Top Roubo bench build will fall behind schedule. I can't think of a better reason to delay a project. Along with the entire Woodworking Community I'd like to wish Marc & Nicole the very best with their little bundle of joy. With the delay of the Split Top Roubo in mind, I set about building a smaller bench that Marc could use with his son. I ended up making two. The first is a Split Top Roubo, much as Marc plans to build. Only I made my petiter than Chris Schwarz's Petite Roubo. 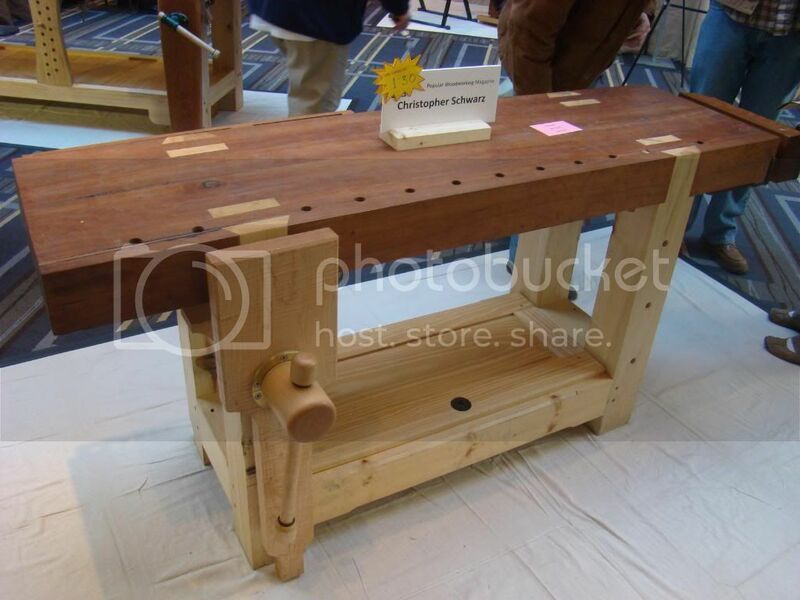 The Second is a Petite version of Bob Lang's 21st Century Workbench. The big size of Bob's bench and the small size of my shop are the reason I'm not making his bench. I figured this Petite version would fit in my space better. If these benches don't do it for you, then join in with the Guild for the actual workbench build. Given that Marc has a newborn at home, I might actually keep up with him this time.